2018 Business After Hours Series Presented By Bank of New Hampshire hosted by Portsmouth Gas Light Co.
Name: 2018 Business After Hours Series Presented By Bank of New Hampshire hosted by Portsmouth Gas Light Co. STILL ON FOLKS, WE'LL BE UPSTAIRS IN THE NIGHT CLUB, MOTHER NATURE CAN'T SQUASH OUR FUN!! 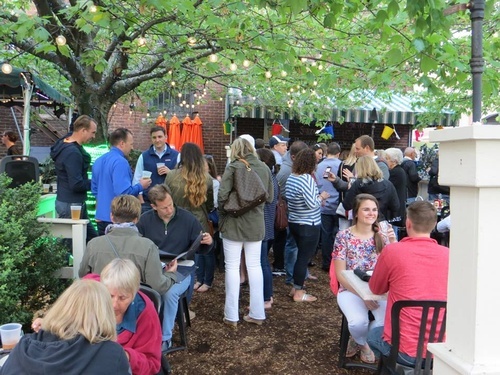 Join us at the Portsmouth Gas Light for the annual kick-off to summer Business After Hours! Weather permitting (and it's not) we would have been outside on the deck (alternative location - upstairs in the Night Club) enjoying live music while we network with over 200 of our closest colleagues. Thank you to our 2018 Business After Hours Sponsor, Bank of New Hampshire and our gracious host, Portsmouth Gas Light Co.! We welcome future members to attend up to two BAH’s for a $10.00 admission fee each time. Remember to bring your business cards to get the most out of this event!